The board of Tata Motors has approved Cyrus Mistry as the new chairman after the retirment of Ratan N Tata. Cyrus Mistry will take over from Mr. Tata on 28th December. Ratan Tata has been a role model for the corporate leaders in India as well as abroad because of his leadership and entrepreneurship qualities. All this has won him many prestigious awards like Padhma Vibhushan, Padma Bhushan and many others. The board has even presented Mr. Tata with the title of ‘Chairman Emeritus ‘. Mr. Tata has driven Tata Motors to a whole new level. 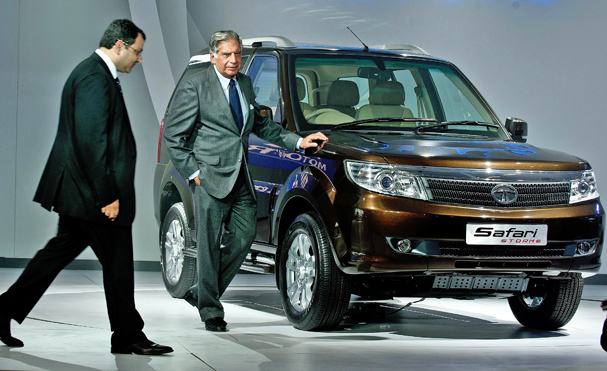 Under his leadership, Tata Motors has acquired famous brands like Jaguar Land Rover and became one of the most renowned faces in the automobile world across the world. Mr. Mistry is the son of Pallonji Shapoorji Mistry, who is a construction giant in India.